Fantastic news! 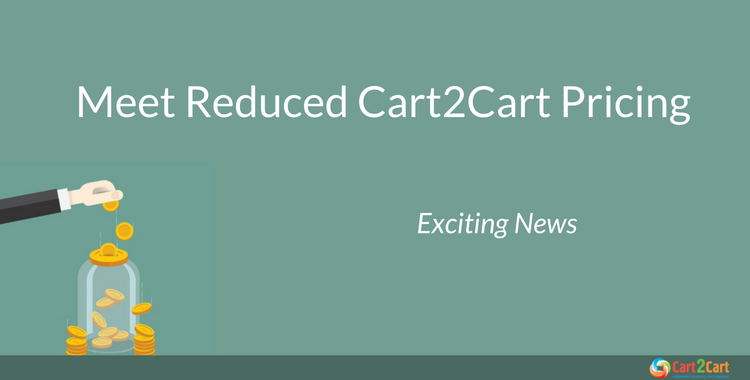 From now on, Cart2Cart provides you with a possibility to perform smooth and secure eCommerce data import at the reduced cost. Since more and more e-merchants turn to our service to run the shopping cart migration, our customers motivate us to enhance the functionality and satisfy the clients with the minimal Cart2Cart price. Ready? Catch a chance to run the effortless eCommerce transfer at $49. Cart2Cart shopping cart migration service enables you to move up to 200 Products, Customers, Orders, and CMS pages at the lower rate. So, don’t miss a chance to complete the switch to your dream solution, boost sales and save a buck at the same time. Check out the full list of supported shopping carts along with the melting prices, or go ahead and start your free Demo Migration right now!